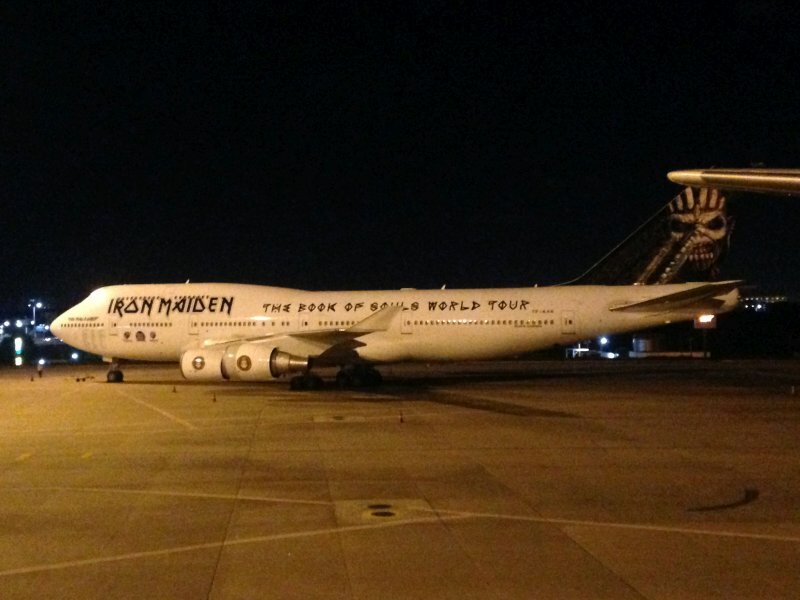 What seemed to be just another LIS-FOR flight, had a slightly different story to tell. 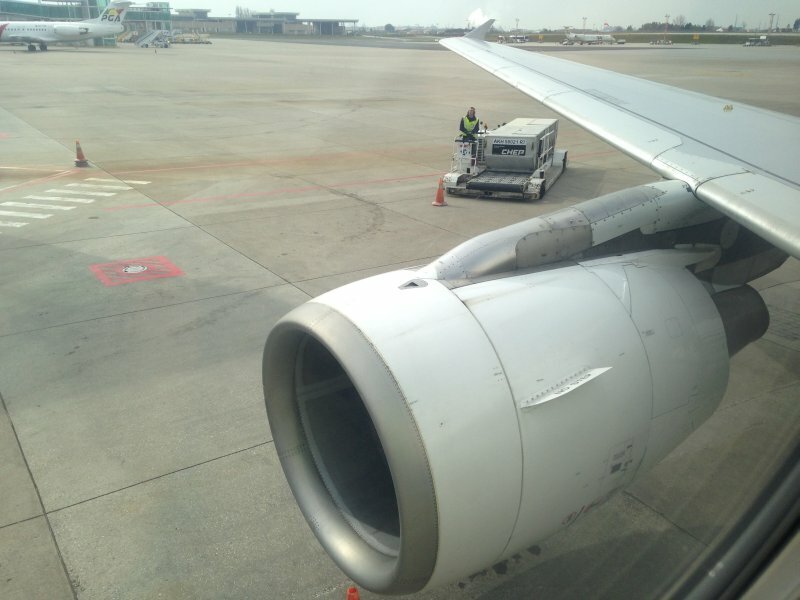 One of our A330s went tech at Natal and needed some spare parts to be repaired (engine starter and start valve). 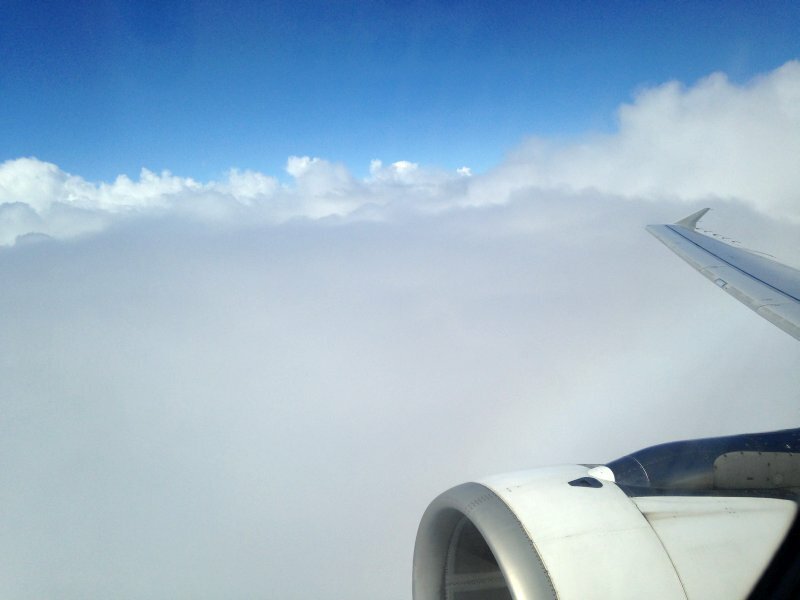 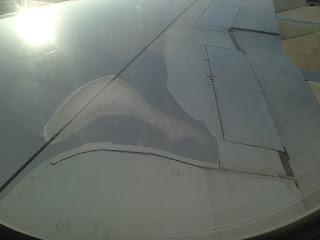 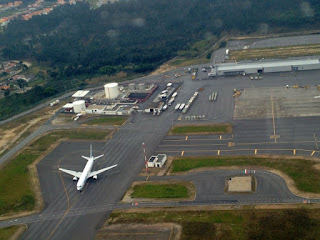 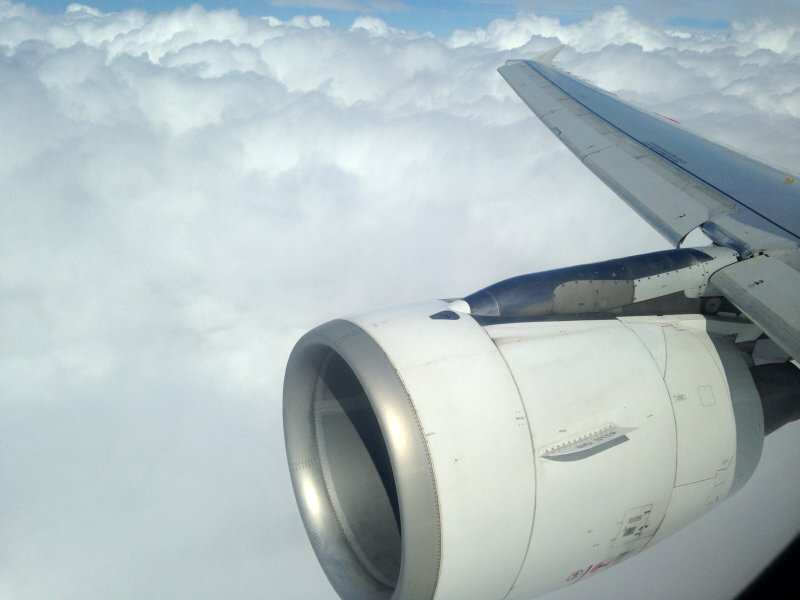 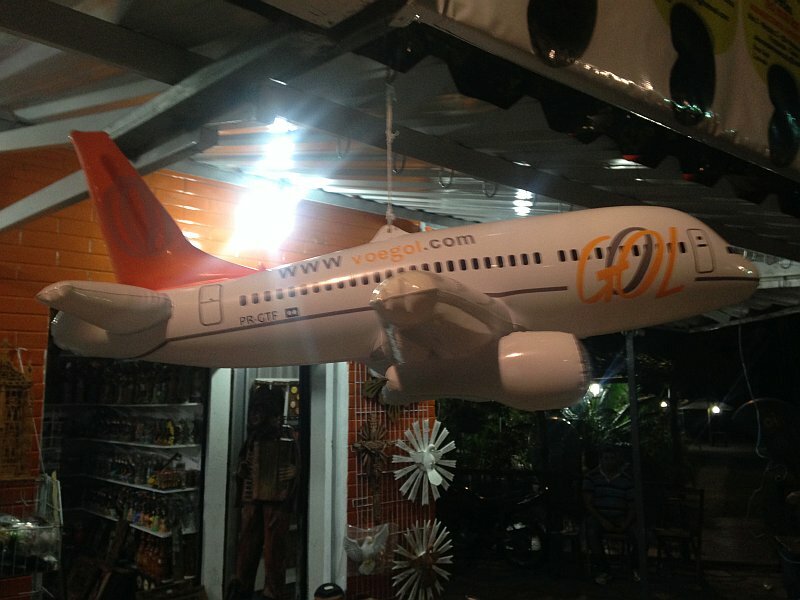 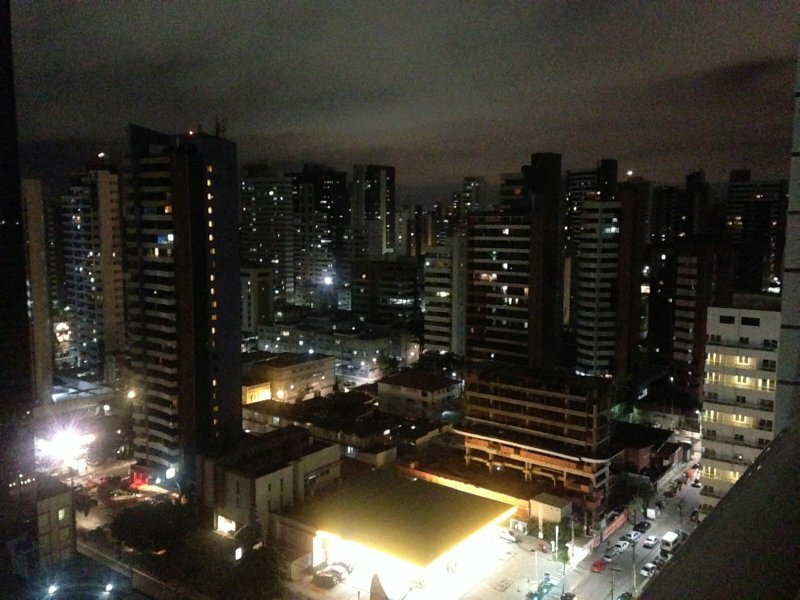 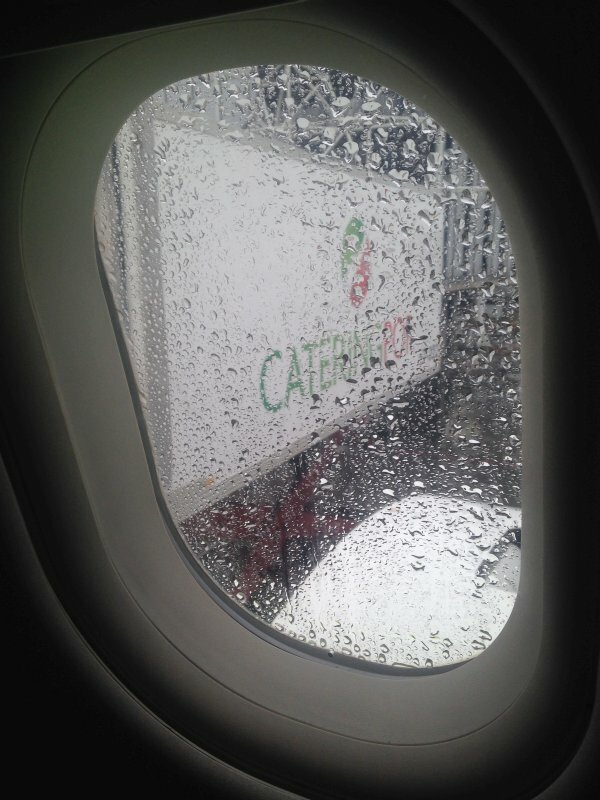 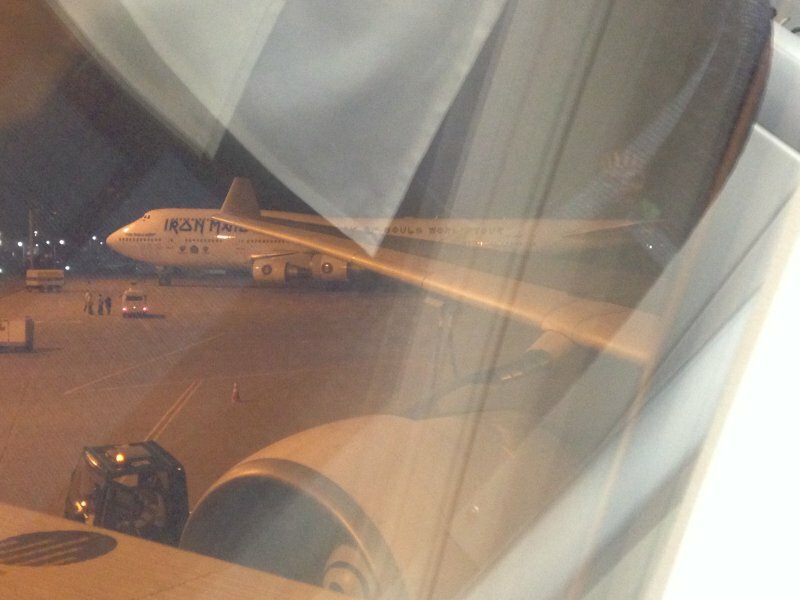 The airline found the fastest way to deliver those parts, making a technical stop at Natal on our flight to Fortaleza. When we landed at Natal we could see the lonely A330 waiting for repair with its #1 cowlings opened. 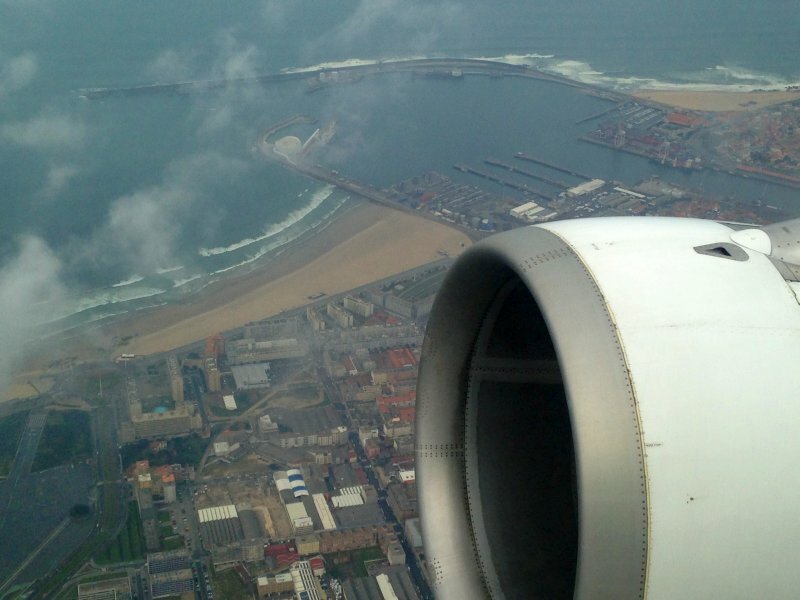 After a quick turnaround we proceeded to Fortaleza without more delay. 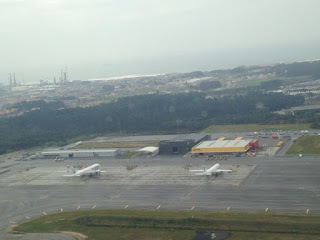 There was nothing particular to report about this quick layover and soon it was time to return to Lisboa. In some way, it made me remember my very first flight as a professional with the very same triangle route: LIS-NAT-FOR & FOR-LIS. 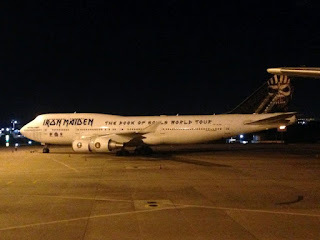 But the highlight would be the "Ed Force One" of Iron Maiden, that I found at Fortaleza "Pinto Martins" Airport, just before our departure to Lisboa. 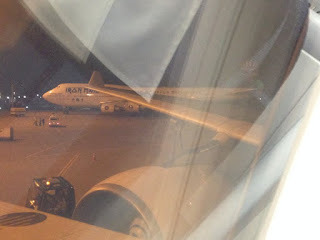 What a sight this wonderful Boeing 747! The first day of my stay in Rio was marked by heavy rains and lightning. 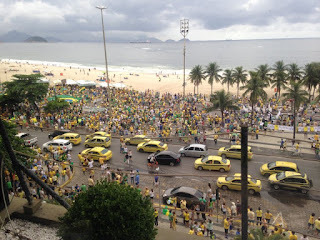 The rain caused major problems with cars and people circulation. 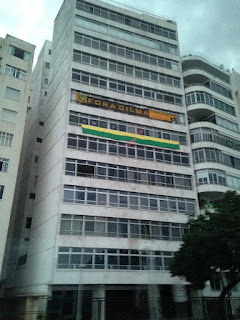 The second day we were already warned for a huge street protest against the Government. 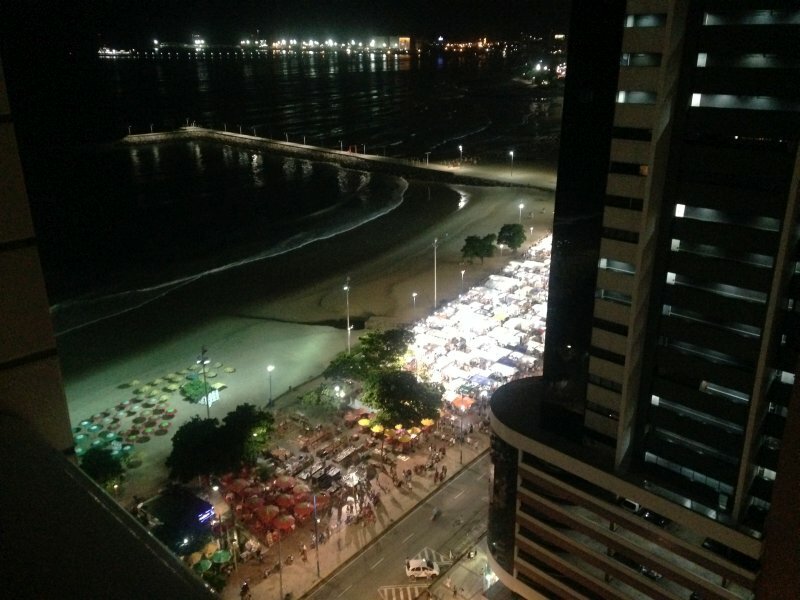 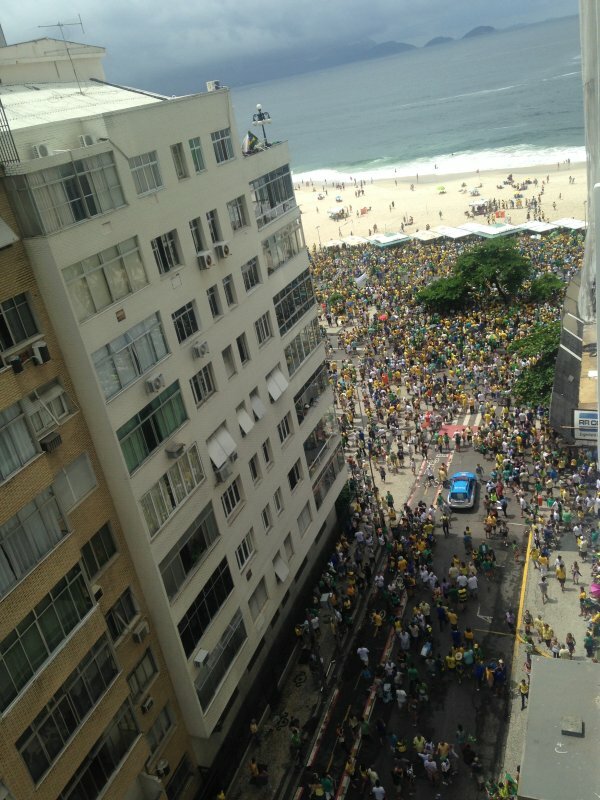 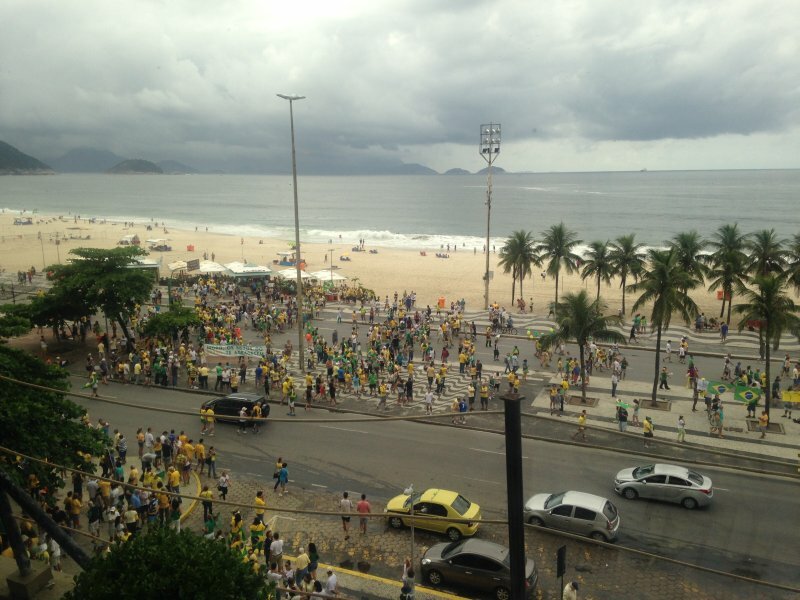 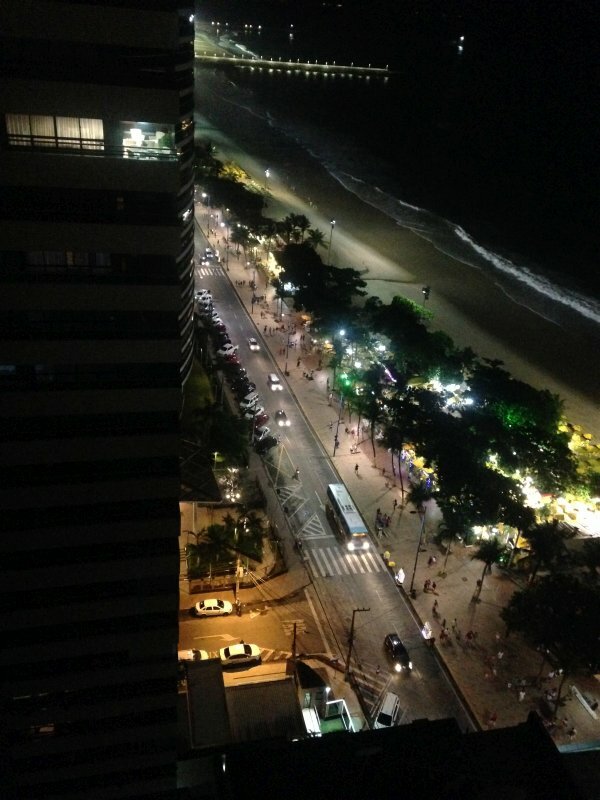 The protesters began gathering in Avenida Atlântica at Copacana still in the morning. 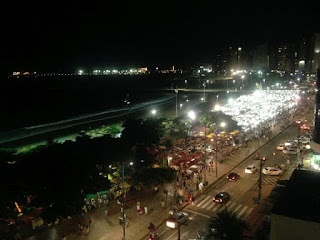 Soon a large and noisy crowd invaded Copacabana accompanied by the sound of several helicopters capturing images for the TVs and light aircraft towing banners with messages about the protest. I must say that Brazilians are the best protesters I know. 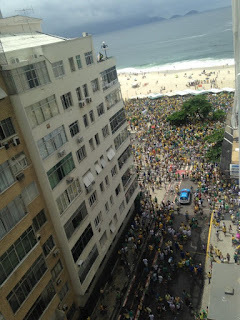 Instead of the usual plain, monotonous or even violent protests that we see around the world, Brazilians face it like a real party where they have fun at the same time they transmit their angry message. They sing, they dance and they bring their tambourines! 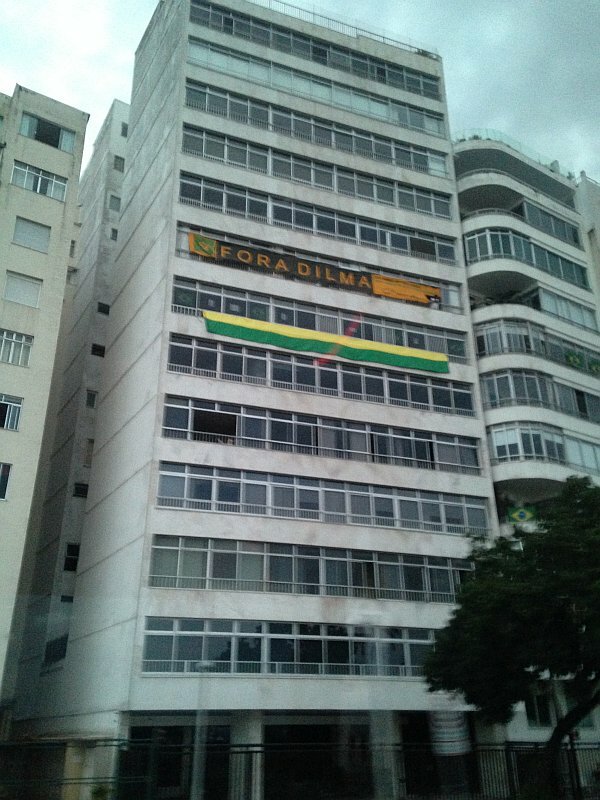 "Fora Dilma": time for Dilma to leave! 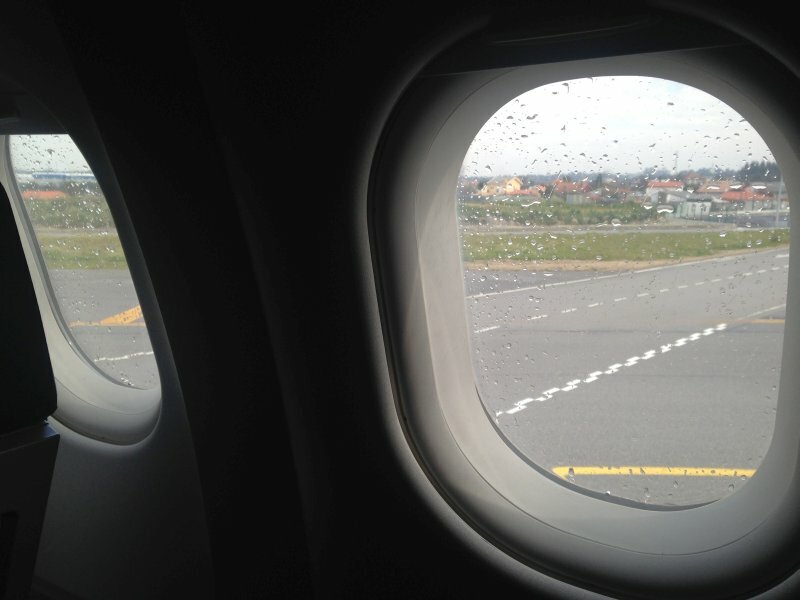 So my plans for this layover were a total failure... 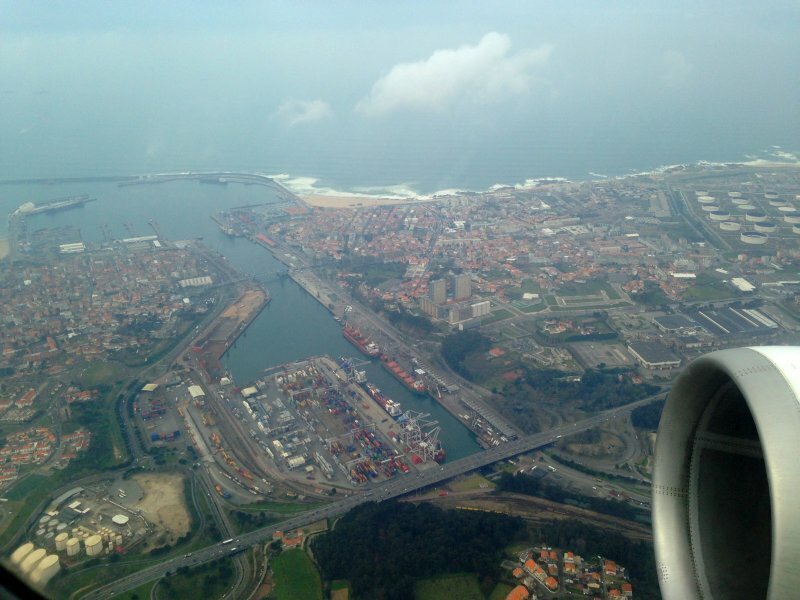 It was time to cross the Atlantic again, heading to Porto - the second biggest city in Portugal. 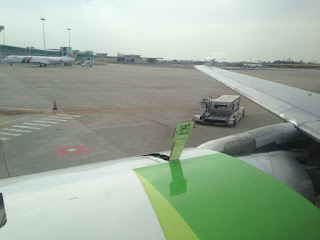 At Porto, I spent almost all the time to have a deserved rest after the long red-eye flight. 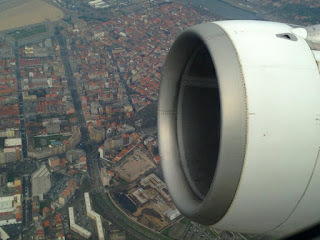 The following day I would finally fly back to my home base - Lisboa. Even if it started to rain short before our pushback, I took the opportunity and the fact I had a window seat for a photo report of the flight. 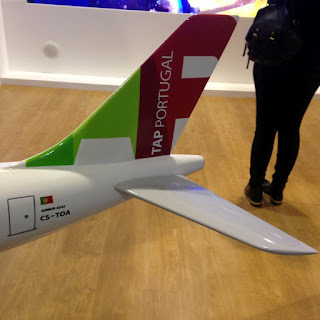 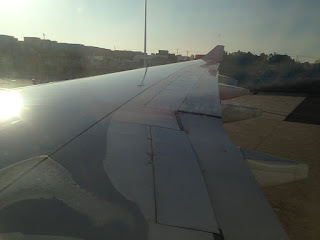 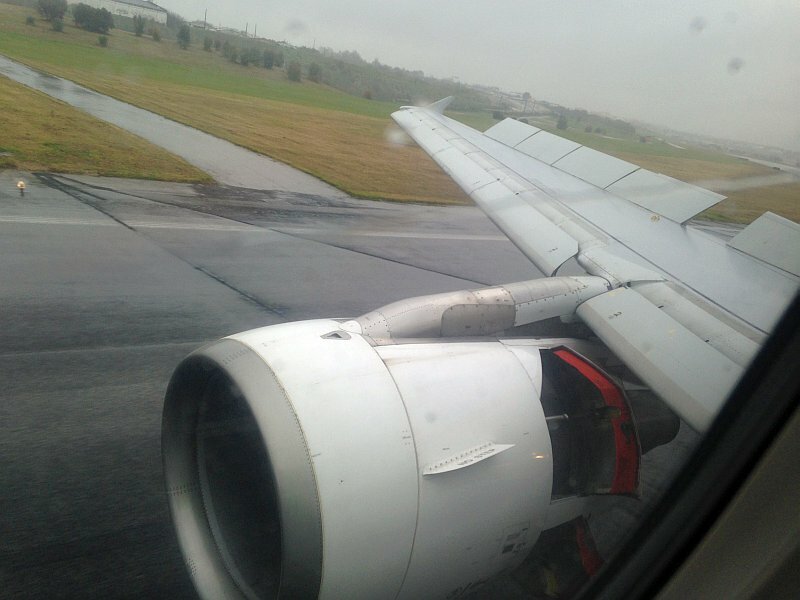 The aircraft for this flight was the A319 with CS-TTP registration, named "Josefa D'Óbidos". Landing on runway 21 - ground spoilers and idle reverse! It's always good to be back home... 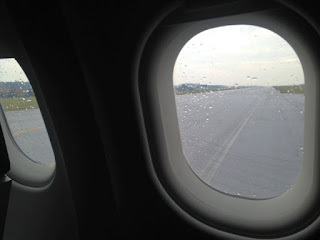 Even if it rains! 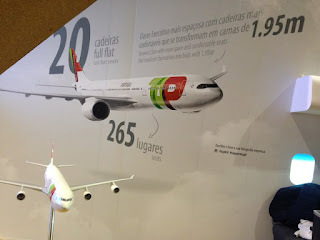 Last weekend I visited the yearly Tourism Fair in Lisbon (BTL). TAP's stand was the most prominent of the exhibition. 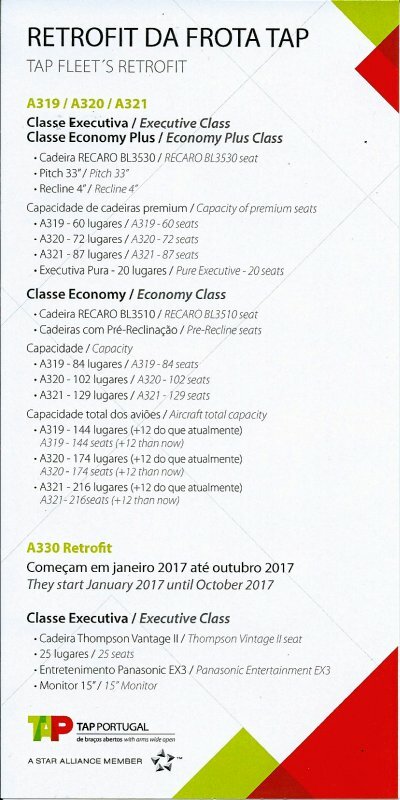 There we could see the new Business Class seats that are installed in the two A330-200 that will be soon introduced in the fleet. 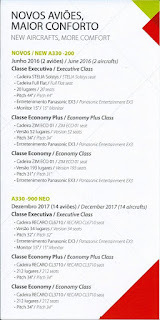 At the same time we were invited to try the new seats, a leaflet was given to the visitors telling us the retrofit plans of the current fleet (for both medium and long haul aircraft) and the features and configurations of the new aircraft, including the A330neo that shall arrive in 2017. 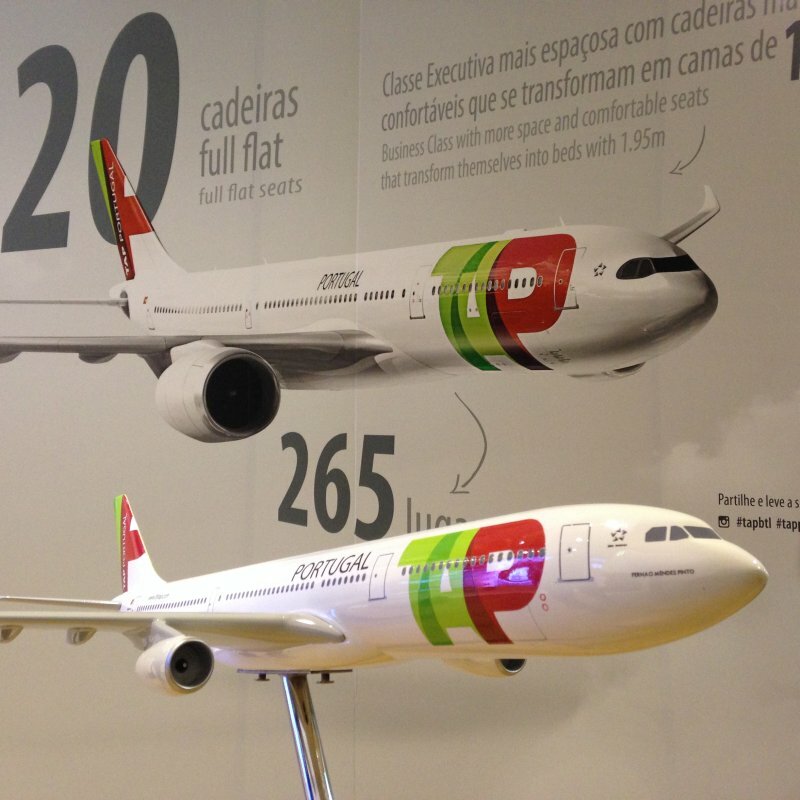 Also at TAP's stand we could find a nice model of the A340 in a generous scale. 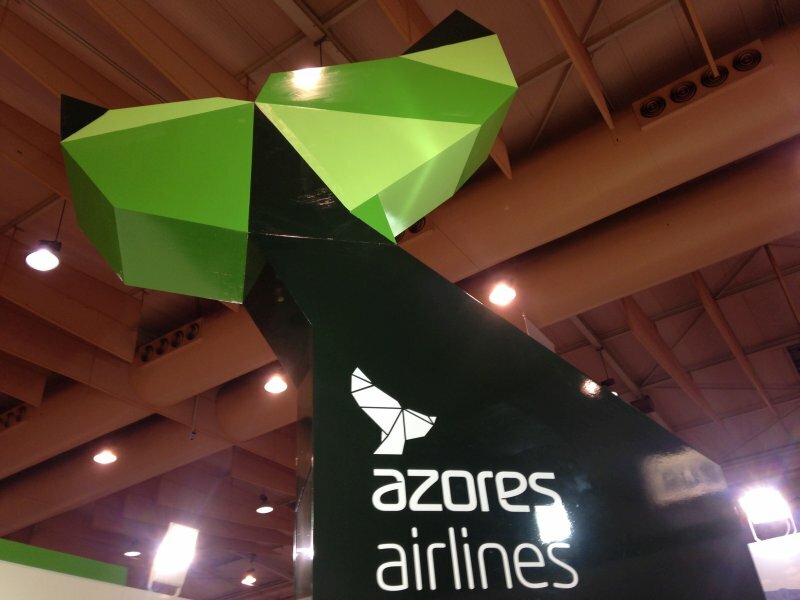 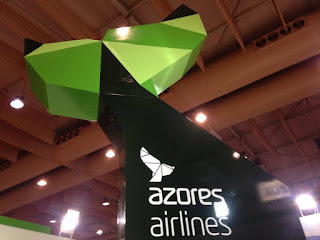 In the same pavilion, there was also the stand of Azores Airlines - the new brand of SATA Internacional - featuring a large whale tail. 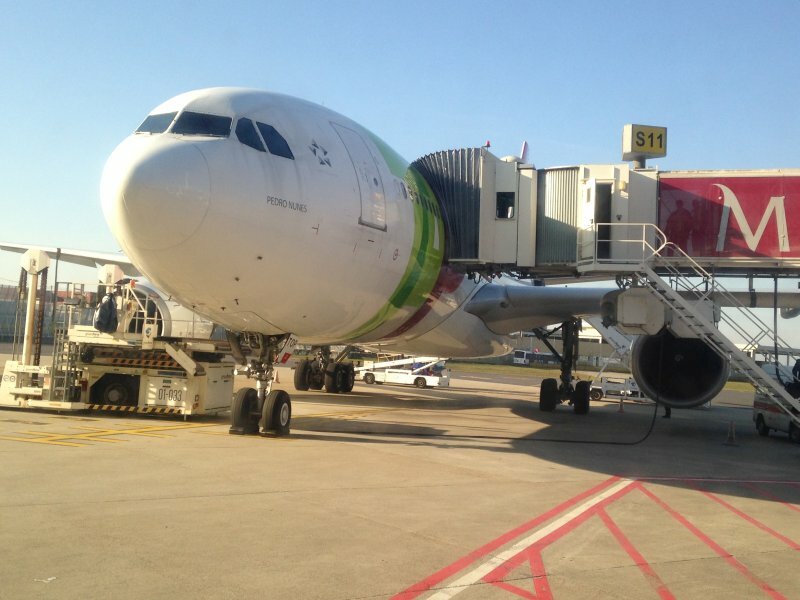 Later that night, it was time to meet the real CS-TOA for another transatlantic flight! 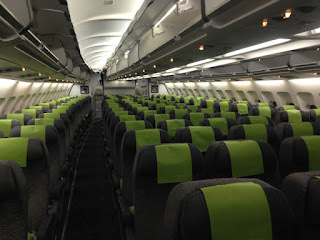 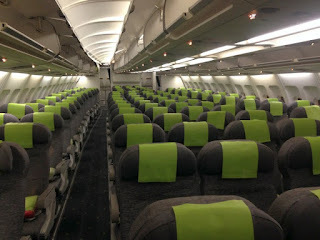 Here's a look of the cabin before boarding.